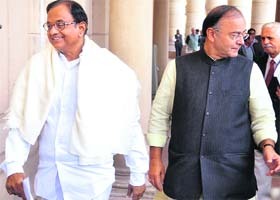 Parliament appears set for another season of washout after the Government and the Opposition today failed to agree on rules for debating the controversial executive decision permitting 51 per cent Foreign Direct Investment (FDI) in multi-brand retail sector in the country. On the anniversary of the 26/11 terror attacks in Mumbai, the government today admitted that the promised chain of coastal radars to keep an eye on threats originating at the sea was still not fully installed. In fact, the chain of radars is not likely to be in place till mid-2013. 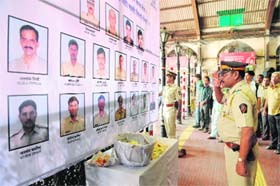 Following warnings from the Pakistan Taliban that the execution of Mohammad Ajmal Amir, alias Kasab, would be avenged, security was considerably tightened in Mumbai as the city observed fourth anniversary of the 26/11 terror attacks on Monday. India and China today signed four MoUs in the areas of energy efficiency, railways, planning and IT. The memorandums of understanding were signed during a day-long second India-China Strategic Economic Dialogue here. Prime Minister Manmohan Singh today unveiled the Aadhaar card-based cash transfer system that would commence in 51 districts from January 1. 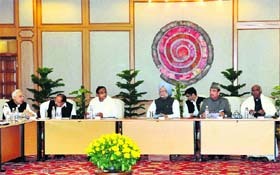 PM Manmohan Singh chairs a meeting of the National Committee on Direct Cash Transfer. A day after suspending him, the BJP today issued a show- cause notice to Rajya Sabha member Ram Jethmalani, asking him to explain why he should not be expelled from the party for six years for anti-party activities. Punjab and Haryana may have given themselves a clean chit over allegations of being directly responsible for the hazardous smog that engulfed the Delhi region, but the Centre today clearly held the two states accountable for the 12-day �extreme pollution episode� on the basis of �scientific analysis� conducted by it. Abhay Singh Chautala, who is set to be elected unopposed for the post of the president of the Indian Olympic Association (IOA) following the withdrawal of Randhir Singh from the fray, said his first priority would be to mend fences with detractors to take the Olympic body forward as �one united, happy family�.